The rare insectivorous Drosera rotundifolia hides on a valley cliff of Baskinta village. Though a small country of 10,000 square kilometers, Lebanon’s numerous microclimates shelter some 3,000 different species of plants, many found nowhere else on Earth. Train local scientists in plant identification. Use guidelines of the International Union for the Conservation of Nature (IUCN) to classify plant species on the Red List of Threatened Species. Identify Important Plant Areas (a program set up by the organization Plantlife) using recent field data. The project brought people together to work on flora conservation and raised awareness about the fragility of the wild flora. “We gave a voice to threatened plants vanishing in complete silence and anonymity,” Bou Dagher Kharrat said. As a result of the project, two plant micro-reserves (PMRs)—designed to preserve rare plant populations with limited distribution—were successfully created with the consent of the landowners and the cooperation of the Ministry of Environment. In addition, several workshops were held to train local scientists and national Red List evaluators, helping to address the lack of plant identification knowledge in the country and to build the first national Red List for threatened species. 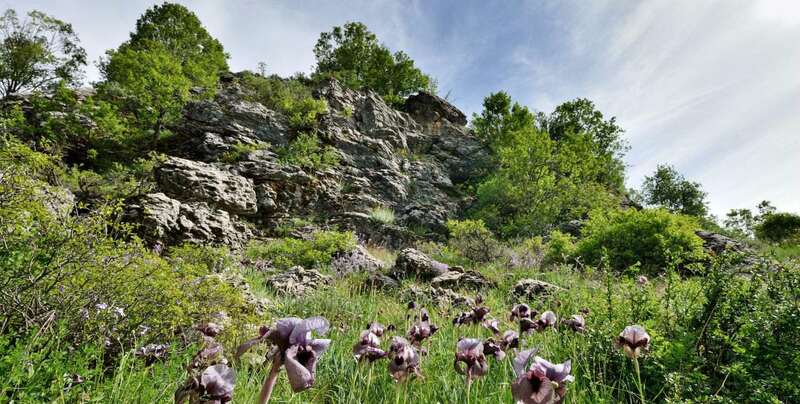 A view of the flowering of Iris sofarana, endemic to Mount Lebanon. Due to both security and accessibility reasons, many regions that shelter rare and/or endemic species in Lebanon are underexplored. Therefore, very little botanical data were available for some areas and gathering that data was more difficult than initially thought. Historical data (including hand-drawn maps) needed to be converted to an electronic format to then be geo-referenced and used on GIS—a time-intensive process. USJ worked with their CEPF grant director to extend the grant period by six months. They also hired more people to help accomplish the other project components. Lebanon has experienced an increase in demand for real estate, driving up property prices. “Even when profoundly convinced of the importance of preserving the natural resources that exist on their properties, [landowners] are often not ready to relinquish them for conservation,” Bou Dagher Kharrat said. Different protection scenarios were tested to meet each of the different land ownership types (public land, private land and land belonging to a religious community). To convince landowners to officially dedicate their lands for biodiversity conservation, Bou Dagher Kharrat said incentives need to be provided. Ecotourism is a promising sector in Lebanon but is not yet profitable enough to be a serious incentive. When speaking to the religious community that owned one of the micro-reserves, USJ referenced Laudato si’, a book by Pope Francis, which emphasizes the importance of natural resources guardianship and how religious communities can serve as role models. “The archbishop was completely convinced and supportive,” Bou Dagher Kharrat said. 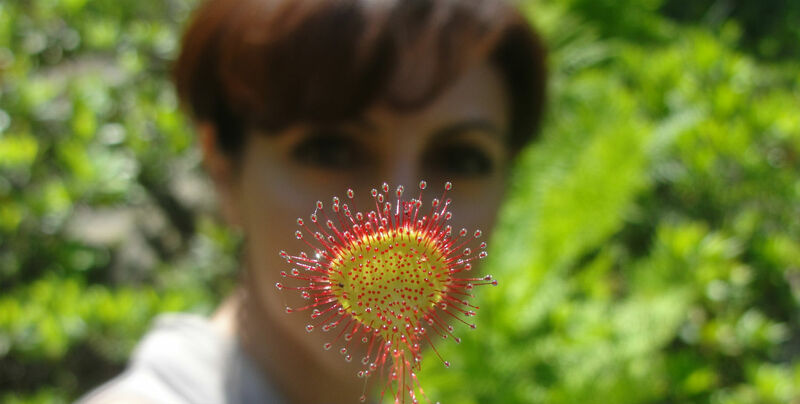 The landowner of the site Baskinta, home to the very rare species sundew (Drosera rotundifolia), would not officially give up the land because it was perceived as a loss of the family’s heritage. However, USJ’s efforts were not in vain: The landowner and nearby community members were successfully convinced of the importance of the site and its biodiversity, and the landowner is now committed to preserving Baskinta in its natural state. Lebanon’s local people are largely unaware, and often unconcerned, about the country’s vulnerable biodiversity. “Lebanese society is overwhelmed by economic crises, wars and unending social problems. Thus, environmental issues are left to experts and scientists,” Bou Dagher Kharrat said. USJ used television and social media to disseminate information about the importance of the country’s unique, natural heritage.